An intense pulsed light treatment (IPL), also known as fotofacial, uses advanced technology to target various skin imperfections, such as sun damage (brown spots and broken capillaries) and the erythema or redness associated with rosacea. If you struggle with how your facial skin looks because of dark spots, sun damage, or broken capillaries, seasoned dermatologist Dr. Adean Kingston can offer you a skin analysis at Adean Kingston, M.D., PLLC in Dallas, Texas to see if you qualify for intense pulsed light therapy (IPL). An IPL fotofacial is a skin rejuvenation treatment for adult men and women with hyperpigmentation and/or redness on their face, neck, chest, back, arms and legs. IPL is not an invasive procedure, but it can be very effective and produce great results with minimal downtime. After a series of treatments, you should see healthier skin with a more even tone, less dark spots, and reduced redness. "I wish I could give Dr. Kingston more than 5 stars, 10 stars, as many as possible because she has completely changed my life. And I mean that from the bottom of my heart. Your skin really does alter your confidence and mood!! I scheduled an appt on ZocDoc with her, with zero idea what to really expect as I felt like my acne situation was helpless. I always had multiple GIANT cystic acne bumps sitting deep under my skin yet visible, small little bumps all over, medium size bumps all over my cheeks and forehead. I really don't even know how to make this sound as bad as it felt, but it was BAD. To the point I wouldn't want to leave the house, or I'd be embarrassed to look people in the eye with worry they were looking at my acne! It's truly one of the hardest things we have to deal with as there is never going to be enough makeup to cover bad skin. Dr. Kingston's appointments are quick, yet effective. She can look at you and within 5 seconds and already know what your skin concerns are. (She still asks though, don't worry) You have a quick and painless discussion, then she starts formulating a sheet for you giving you your new daily skin routine. She suggests a couple medications, and asks what you may be interested in achieving and by the end of it she creates a day and night system that WORKS. It took me about 2-3 months to first notice a difference, and from that point forward I have seriously not had one pimple since. My skin is the best it has ever been, to the point where if I get the tiniest, little pimple I wonder if I'm ok haha. Regardless, if you struggle with acne as I did - SEE DR. KINGSTON. She will help you, as she helped me and several of my friends." "Wonderful Experience! - Dr. Kingston is equal brains and beauty. She not only listened to my concerns, but gave me multiple options to consider without pressure. Very professional, patient, and kind. I can't wait until her new practice in Highland Park opens! Cooper Clinic was not only too far away but a little drab." "She listened....THEN she helped me develop a plan to conquer my multiple issues in an orderly and effective manner that will give me the ultimate lifestyle change I am seeking. VERY happy and confident going forward. Starting my first procedure on Day #2...fast response." "Visit couldn't have been any more professional or thorough. Covered multiple issues and answered all questions. You feel like you are talking to a good friend. The best!" "I've had really bad experiences with dermatologists in the past but Dr. Kingston was great! Everyone listened to me and validated my concerns before giving me multiple options for treatment. I received a steroid shot for my eczema and unfortunatelyhave had really bad back pain in the couple of days since then. I'm hoping that it goes away. When I called in to ask if it was normal I was told that it wasn't, so I'm a little bit concerned. It was definitely due to the shot, as far as I know I didn't strain myself or develop a pinched nerve or anything. I'm 22 so back pain isn't something that comes and goes for me. But anyway, aside from that my visit was great and a huge relief because I've been so disappointed in dermatology appointments in the past. And my eczema is definitely clearing up a bit." IPL works by targeting melanin (brown spots) and hemoglobin (redness and broken capillaries) with little or no downtime. Candidates for IPL at Adean Kingston, M.D., PLLC may have a combination of concerns with their skin, including sun damage, rosacea, hyperpigmentation (brown spots), flushing, freckles, melasma, age, and sun spots, or broken capillaries. Dr. Kingston will assess your skin to see if you are a candidate for IPL at your private consultation. IPL is performed inside our Dallas, Texas office in about 30-60 minutes in our minor procedures room after possibly numbing the treatment area with topical lidocaine to improve ones comfort during the procedure. To start the fotofacial, we will clean and dry the skin to be treated before covering your eyes with special laser shields. The IPL is administered using a handheld device that passes over the skin while emitting pulses of light energy. While most patients will feel some discomfort during the IPL, it is generally tolerable for the short treatment time. There is no downtime associated with a fotofacial treatment, but you will leave your appointment with your skin a little inflamed and red. This will decrease on its own as the day continues, but it can be concealed with makeup. Dr. Kingston advises patients to keep physical sunblock and specific moisturizers on the skin's surface to decrease irritation and speed healing. It also helps to take anti-inflammatory medication to ease swelling, if needed. The dark spots will initially become darker, but over the course of several days, they will begin to flake off. It's critical to keep your skin protected from the sun at all times after a fotofacial treatment and to not pick at your skin. While you should see some visible results after the first session, your skin will attain the best results after several IPL sessions. We recommend approximately 3 – 6 treatments performed around one to two months apart at Adean Kingston, M.D., PLLC for the best results. Every patient case is unique, which means the cost of IPL will be dependent on your unique condition. Adean Kingston, M.D., PLLC offers monthly specials and accepts many forms of payment. During your initial visit, we can help estimate your cost and determine the number of treatments needed for optimal results. How quick are the results from IPL? Improvements can be seen after each treatment, but the best results can be seen a month after a full series of treatments is completed. It’s common for patients to respond differently to each treatment session. 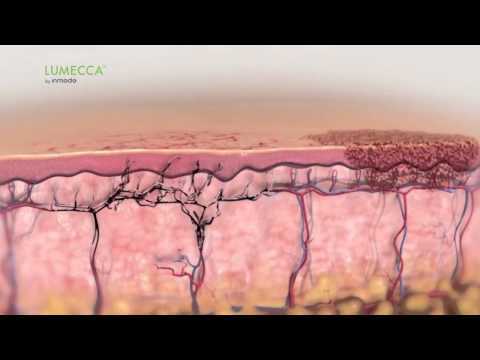 Patients will see a gradual improvement of redness, broken capillaries, and sun spots over time. Most patients may experience mild temporary side effects, like swelling, redness, crusting, bruising, or darkening of their brown spots. These subside within a few days after the procedure. Patients will not be sun sensitive, but they should keep in mind that excessive sun exposure will affect the results of the procedure. Patients should always wear physical sunblock to protect their skin and decrease the appearance of redness, brown spots, wrinkles, and skin cancer. Do I need to prep for IPL? Patients about to undergo an IPL treatment are usually asked to avoid self-tanners and excessive sun for 2 – 4 weeks prior to the procedure. You should discontinue the use of any photosensitizing medications such as minocycline, tetracycline, doxycycline or Retin-A several days before each treatment. You should also protect the treated areas with sunblock between sessions. A full series of IPL photo rejuvenation sessions are required in order to provide gradual, natural-looking improvement with little to no risk of the patient’s safety. Multiple sessions also allow for longer-lasting results. You probably didn't worry too much about your skin when you were a child, but now that environmental damage, like sun spots, wrinkles, and other problems are appearing, you now may be interested in how to improve your complexion. We invite you to learn more about IPL treatments by calling our Dallas, Texas office and scheduling a skin consultation with Dr. Kingston. With IPL treatments at Adean Kingston, M.D., PLLC, we can help bring back a bright glow, healthier appearing skin and a clear complexion using one of our two IPL devices, Max G on Palomar and/or Lumecca on Inmode.